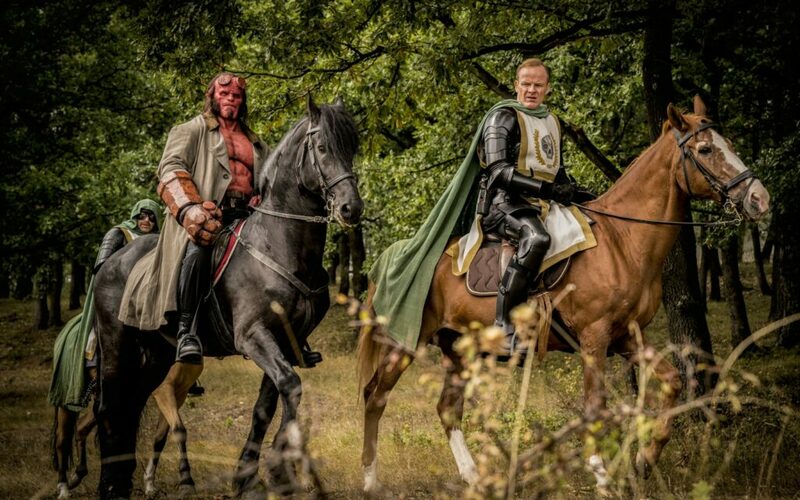 The final stake in the heart of the “Hellboy” franchise has been firmly planted. 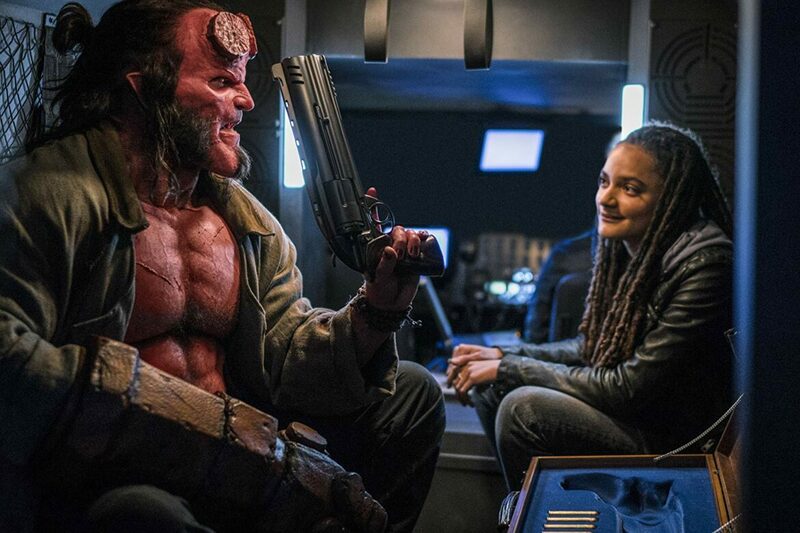 “Hellboy (2019)” is really bad. It’s that simple. 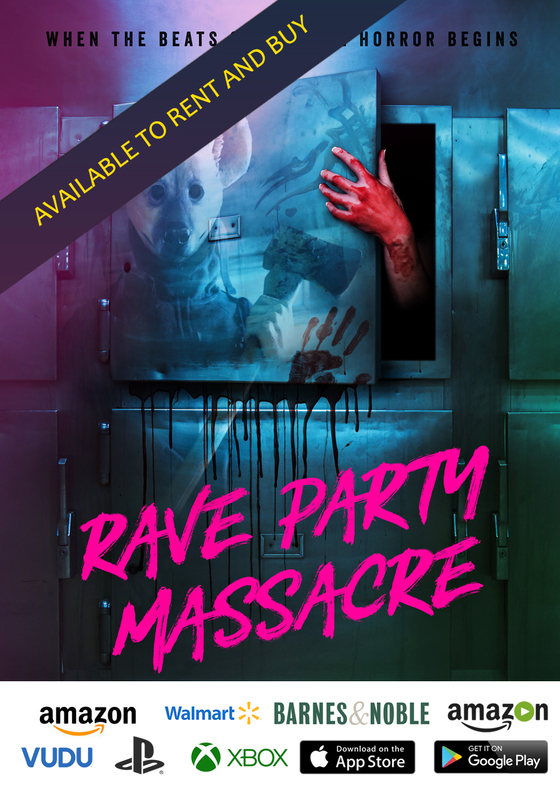 Marked by an incoherent story, a poor and bonkers collection of creatures, and a slew of f-bombs, director Neil Marshall manages to destroy the character in a way that’s rarely been captured on celluloid. 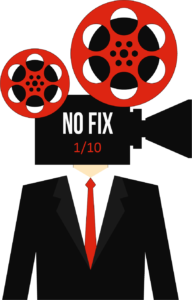 I actually considered giving this film zero out of ten, which would have been a first for me. 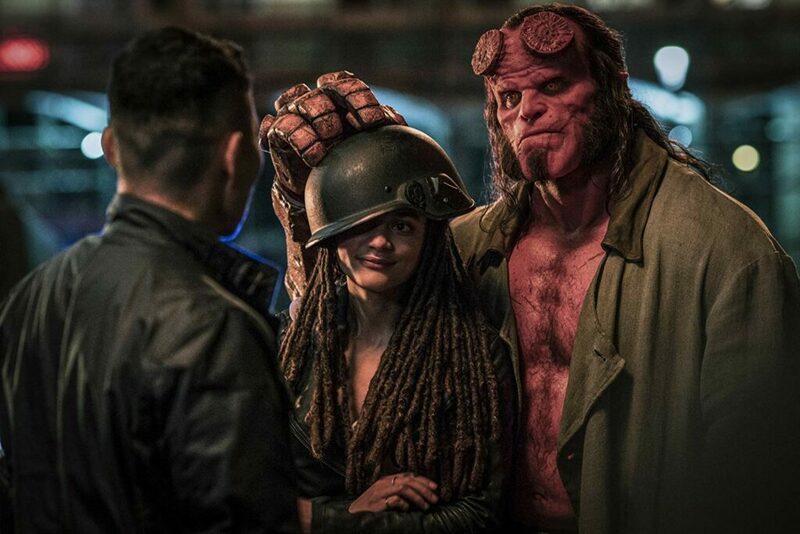 Who thought this was a good look for Hellboy? After a bit of historical backstory in which one character comically exclaims “Excalibur!,” we get an unceremonious trip to Tijuana. 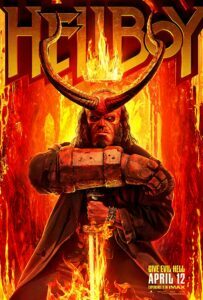 Hellboy (David Harbour) is dispatched to bring back an agent who may have fallen prey to a pack of vampires. This leads the red demon hero into a lucha libre style wrestling ring, where he goes toe-to-toe with a drinking buddy, who, you guessed it, has been turned into a bloodsucker. From the point go, something is very amiss, as the fight sequence seems well off. Punches have no weight, and the sound design is distracting. After drowning his sorrows with ample amounts of tequila, Hellboy is summoned back to his home base where his adopted father, Professor Broom (Ian McShane), tasks his boy with preventing the reanimating of the fearsome Nimue (Milla Jovovich), also known as The Blood Queen. Having been chopped into various bits in the opening sequence, Nimue has a minion collecting her parts in hopes of reassembly. Milla Jovovich does her best with the one-dimensional Blood Queen. Viewers may question why in the world the evil Queen’s body parts are so neatly cut (the head is fully intact, whole arms and legs severed cleanly). I immediately thought, why not make it a harder jigsaw? But, no matter, the Queen’s body could be put together by even the most casual puzzler. So, Hellboy is off to England where he meets with a top secret society, whose sport is hunting and containing blood-thirsty giants. Without giving too much away, Hellboy has to bring down a trio of the ugly beasts, while, also, learning more about his own origin. It’s the battle with the giants that really threw me. It looks awful, with effects that feel like something from the late 1990s or early 2000s. “Stranger Things'” star David Harbour is a good choice in a bad film. And the incompetence continues with every labored fight sequence shot ineffectively. The camera follows the action at an odd, awkward distance (whether in wide or in closeup) never showing blows land convincingly. The effects are often bathed in foggy and dark hues clearly meant to mask animator’s work. And even Hellboy’s strength and powers are inconsistently presented, as he battles demons or monsters that never seem to be in the same scene with the character. It is so bad that by the time the Blood Queen and Hellboy face off, most in the audience will be visiting their Instagram pages. Sadly, the casting of Harbour in the title role seemed like the right compromise when it was announced. 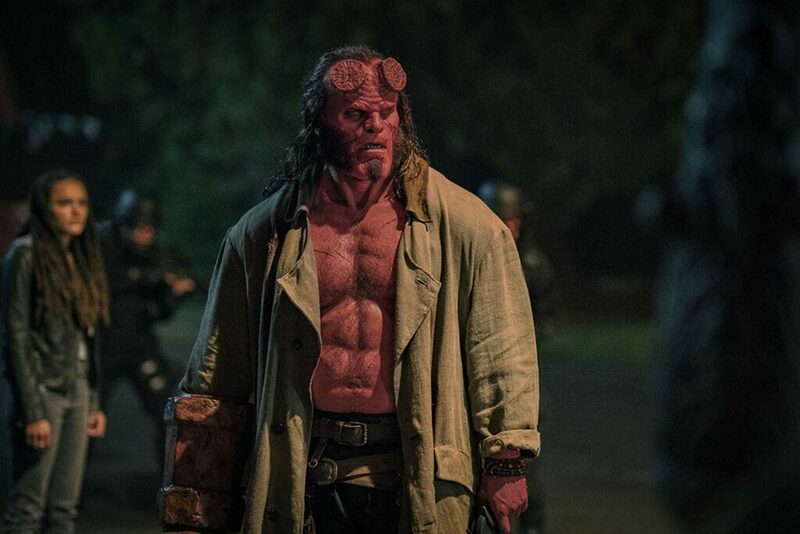 While I would much rather have seen Ron Perlman reprise the character he played so well in Guillermo del Toro’s 2004 and 2008 “Hellboy” films, Harbour’s body-type and everyman bearing seemed perfect for the unconventional, demon spawn, superhero. And to be fair, Harbour has his moments, but the addition of the f-bomb only cheapens the character with lazy dialogue, especially when he and Professor Broom are discussing strategy. Sasha Lane plays spiritual medium Alice Monaghan. Another character is a medium named Alice Monaghan (Sasha Lane), who has the ability to speak with the dead. In several scenes this talent is manifested by Alice belching out a spirit version of the deceased, who can converse with the living. This distasteful effect looks like the computer animation used the first time we saw Dwayne Johnson as the Scorpion King in end of 2001’s “The Mummy Returns.” It’s amazing that, these days, any major studio would have approved the effects choice. The final appearance of one of these apparitions might elicit more than a few giggles, especially when they are combined with some of the dumbest, expletive-ridden dialogue ever in a mainstream comic book film. Where “Deadpool” used foul language as a genius comic device, “Hellboy (2019)” turns words into a cruel tool to undermine any tension and credibility. Not even the film’s characters believe what is happening around them. And if they don’t care, why should we? Abysmally bad, this “Hellboy” installment guarantees that there won’t be others.